Arranging to go for a cruise during your holidays is one of the important factors to have a great time during your holidays. It is an amazing feeling that gives you the feeling of freedom while enjoying the cruise. It is probably one of the best facilities to use while you are on holidays. It provides both having fun and seeing different attractions. Get more information about Paphos cruises. By attending a cruise, you will also receive a guide with the different attractions and places you will be able to see and visit during the cruise. Being able to view different attractions while you are on a cruise will give you the ability to learn more information about the different attractions of the city. There are also staff members who will be able to answer any possible questions and give important information about the specific attractions you will be able to view during the cruise. 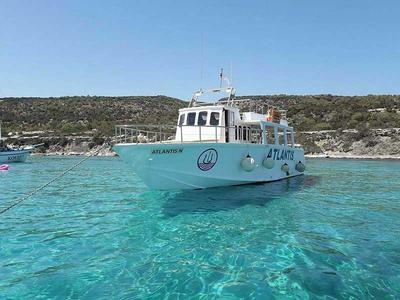 Except from the above, you will have the chance to visit the most crystal and clean sea near Polis Chrysochous called Blue Lagoon. Blue Lagoon is a very famous place in Paphos because of how clean it is. Many visitors mentioned that you could clearly see the bottom of the see without any extra masks. The bottom of the sea has golden sand that makes the place extremely beautiful. Since Blue Lagoon is the last destination of the cruise before it starts the return journey, you will have chance to enjoy such a beautiful place and swim in the cleanest waters you have ever seen in your life. An important ability we give to our customers is to be able to get alcoholic and non-alcoholic drinks from our professional bar. We are always having an expert barman/barwoman who will be available to serve you anytime during the cruise. The bar is equipped with both alcoholic and non-alcoholic drinks. In addition, in case you are hungry, the bar is providing a wide range of snacks including nuts, crisps, sandwiches, traditional cakes, Cypriot sweets, etc. The entire customers who are attending the cruise are receiving a free glass of wine or free lemonade or free fruits, or free orangeade. many people who visited the place before, keep visit it when they are come to Paphos for holidays. Our boat will stay there for enough time for you to enjoy the sunshine and the clear waters, which allow you to have a great of the clean sandy beach. How to enjoy such a great experience? As mentioned before many people are visiting Blue Lagoon every year. In addition, people who went there before are still interesting to enjoy the place repeatedly as it is so beautiful and joyful place to visit. Therefore, if you are looking to enjoy such a great time with friends and family, all you have to do is to book your paphos cruises and get prepared to have a great time. We guarantee that you will have a fabulous and unforgettable time. There are also private cruise services that are suitable to bachelor parties, hen nights, birthday parties, etc. “Meze” is one of the most common word you will listen during your visit at the local restaurants. The specific word means the special types of food that is made from traditional ingredients and that it has been firstly been created mainly in Cyprus. Meze is very famous all around the city and many tourists know about it. Many tourists who have already had meze usually visit specific places, which have the specific type of food. Visiting such a place, we are sure that you will love Cypriot food. Paphos is very famous about the different attractions it has all around the town. Many people from different countries visit the town to learn about its history. Its unique historical attractions is one of the main reasons the town has been very attractive to tourists. There are plenty of attractions to visit and many facilities to use. There are two-wheel electric bikes to rent and explore all around the archaeological park of Kato Paphos. Alternatively, can drive through the port and explore the castle, which used to be storage of weapons. Moreover, there are places that are on the outskirts of the city that are accessible by either bus or taxi. In case you are not interesting about the archaeological attractions, we are sure that you will be able to find other interesting places to visit. There are water parks, beautiful beaches, very beautiful forests, places to go for climbing and exploring the nature, various other museums that demonstrate the everyday activities of people that used to live many years ago and plenty of other activities. We are sure that you will have a wonderful time in Paphos and that you will learn many useful information not only about the city but also about the culture and everyday habits of the local people. The Akamas peninsula is located 40 minutes from central Paphos. The nearest main town is Polis Chrysochous with the fishing harbour of Latchi close by. Latchi is where you can find the boats. Join in and write your own page! It's easy to do. How? Simply click here to return to Premiumlistingothercyprusbusiness.